I began a small series of work about houses under construction around 2016. At that point I had done a lot of pieces on highway construction and other urban imagery. This series was much harder to enter into, as I looked at many half-built houses in a state of flux. Not all of them appealed to me aesthetically the way the highway imagery did, and it became an exercise in finding interesting-looking half-built houses to paint. I'm still not entirely sure why I'm interested in them but 'Kingdom' seemed like a fitting title. 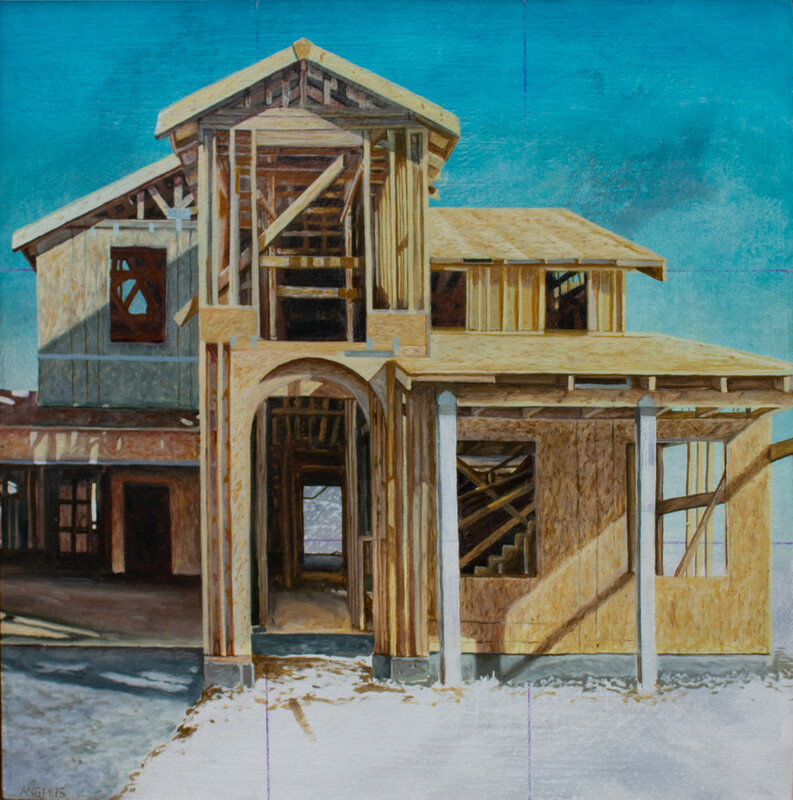 For this piece I added false grid lines and left the background as unfinished as the house. This oil on hardboard panel is 10"x10" and is also available as an original.